After admiring all the new Lush Christmas releases on other blogs and Instagram, I knew I had to pick something up for myself. Not having loads of cash to splash I decided to be good and just pick up one item, which was pretty difficult! After browsing for awhile, I went with one of the sales assistant's recommendations - Bombardino. Bombardino really is a cute little bath bomb. He is inspired by an apres ski drink made from eggnog, brandy and whipped cream, which was traditionally made in the Italian Alps. 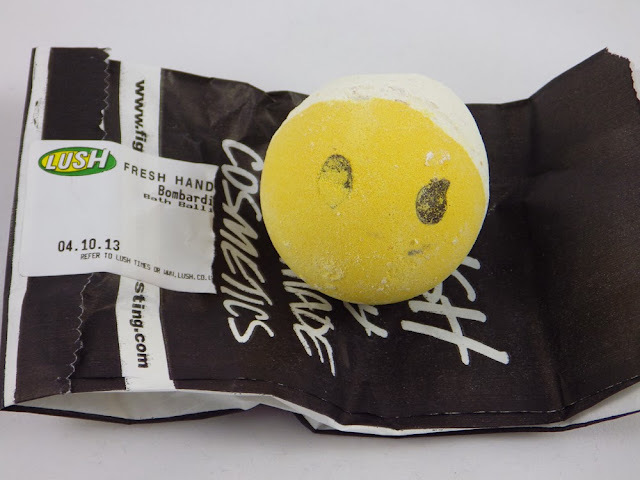 Lush's version contains ingredients such as Cocoa Butter, Bergamot Oil, Sicilian Lemon Oil and Vanilla Absolute with eyes made from Dairy Free Chocolate Drops! 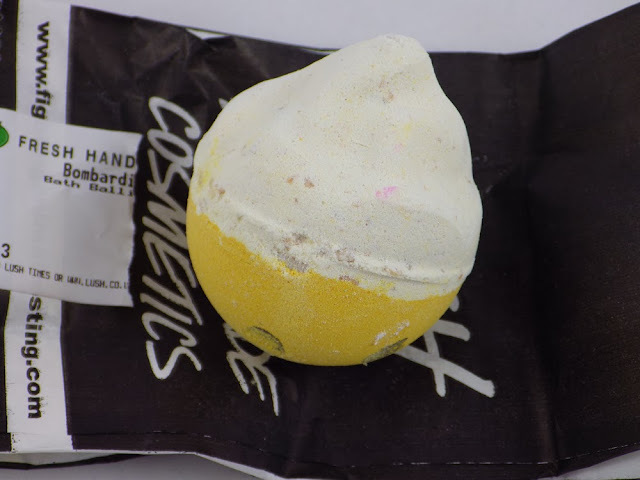 The smell is very buttery with a dose of fresh, zesty lemon. 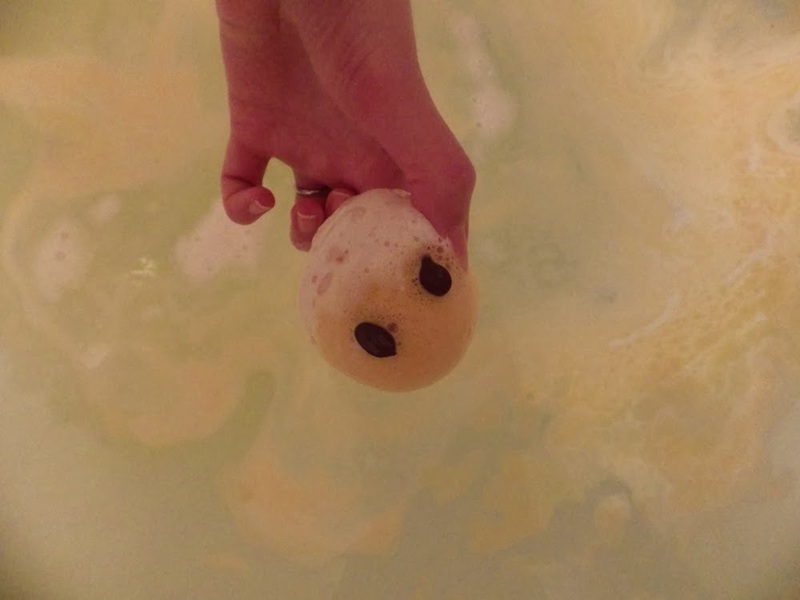 Bombardino is one of those slow fizzers, moving round at a relaxed pace, turning the bath water lemon yellow. 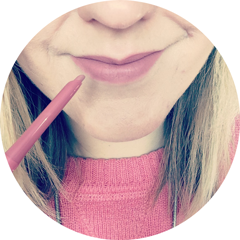 You can really tell that cocoa butter is one of the main ingredients, as after getting out of the bath I felt like I was left with a layer of it on my skin - you won't need to use moisturiser with this one! Bombardino also contains Radiant Gold Lustre, so I was left with a subtle gold glitter on my skin. The only thing I would say is that if you're not an easy sleeper, don't use this too close to bed. The scent clings to you for ages and the lemon part of it really is, as Lush describe, "uplifting" - I took a fair bit of time to get to sleep that night! If you fancy having a bath with Bombardino, it will only cost you £2.50 and can be bought here. 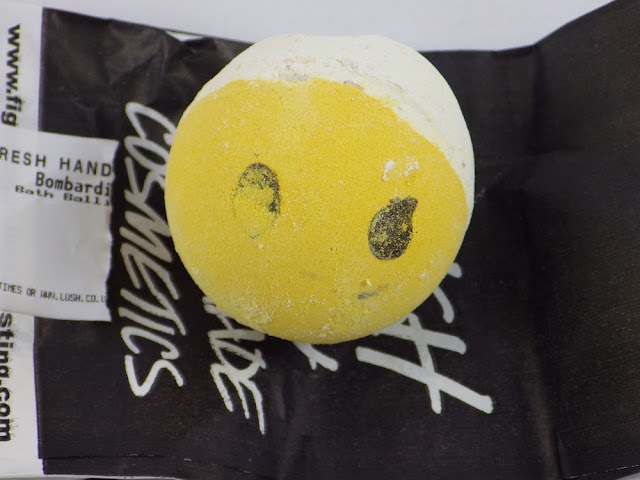 Have you tried any of Lush's Christmas range? What would you recommend? This sounds gorgeous love anything lemony!! 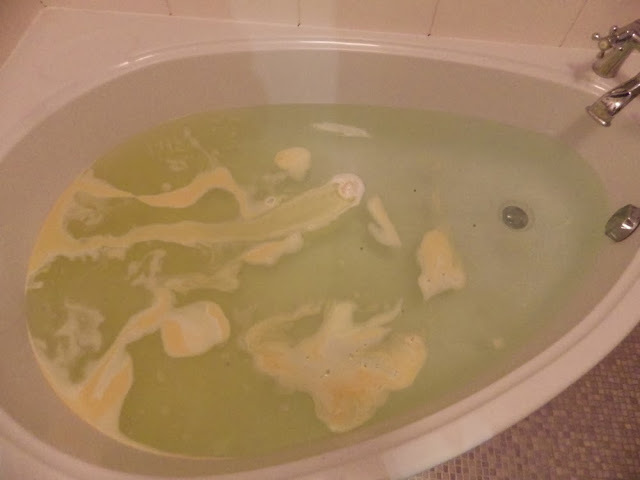 I adore Lush! Eeep, this sounds amazing! I always stock up on bath bombs in A/W, definitely going to try this one out once my eczema clears up! You have the coolest shape bath! I bought one of these but I haven't used it yet. Quite excited now. Your bath is really cool! This Bath Bomb looks cute! I have a giveaway on to win Lush Snow Fairy shower gel Bath Bomb of your choice and a Mac lipstick if you want to enter :).